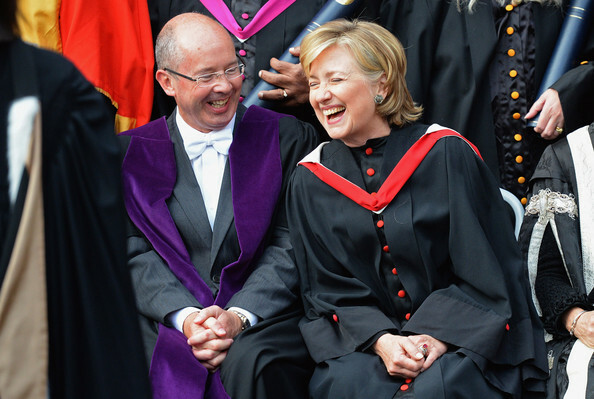 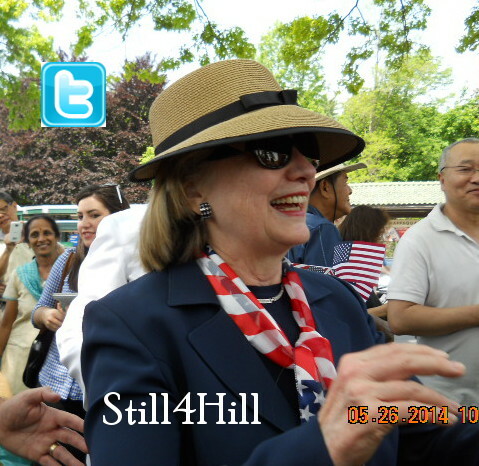 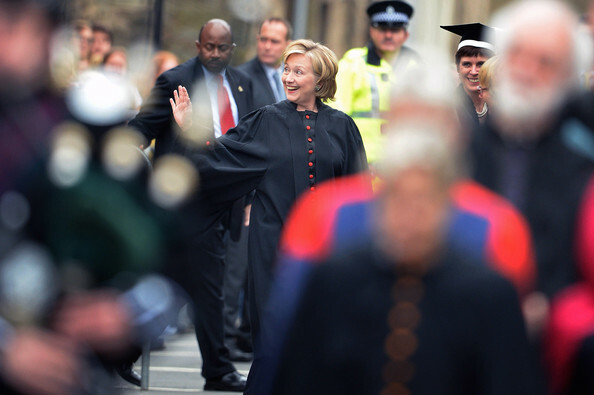 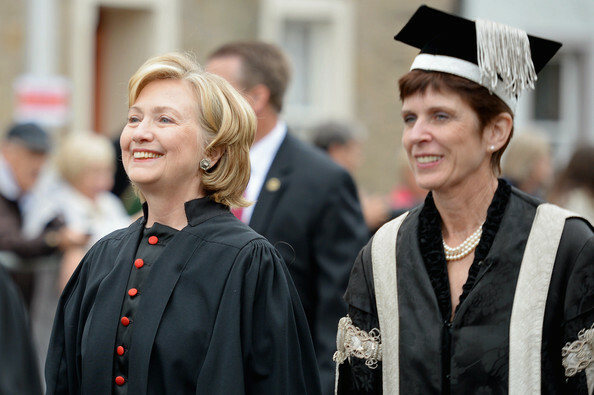 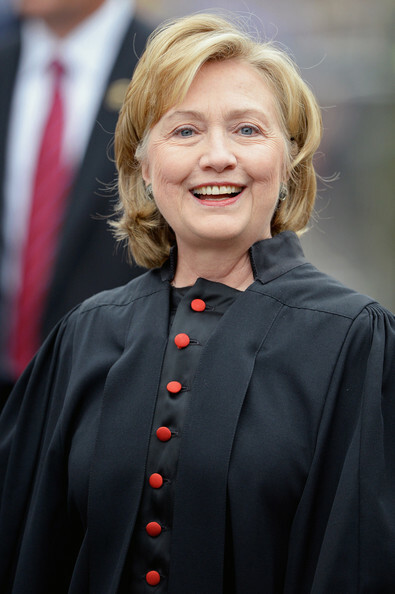 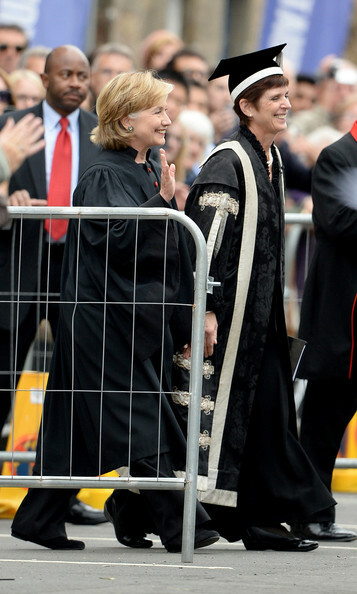 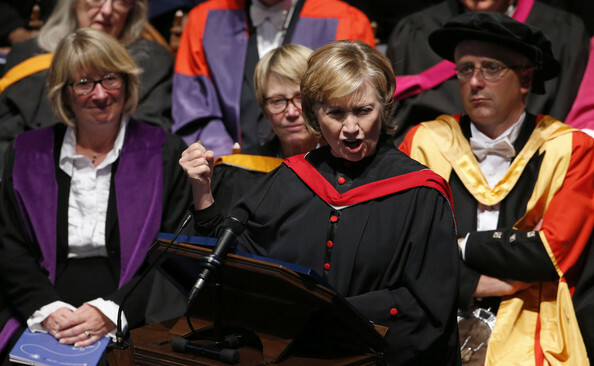 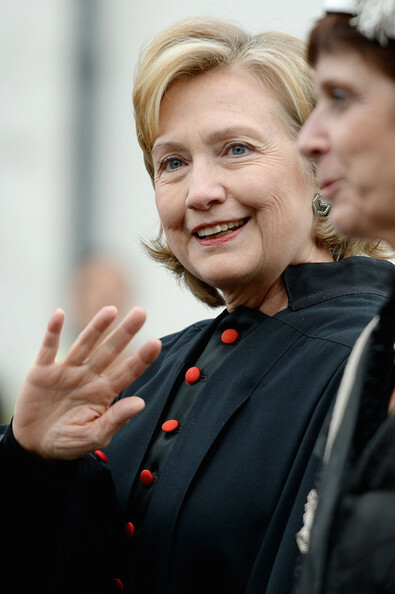 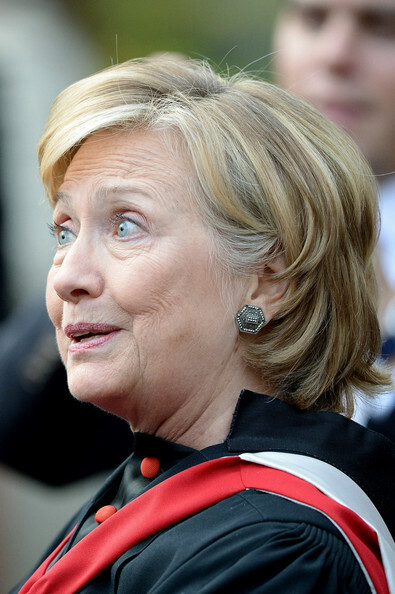 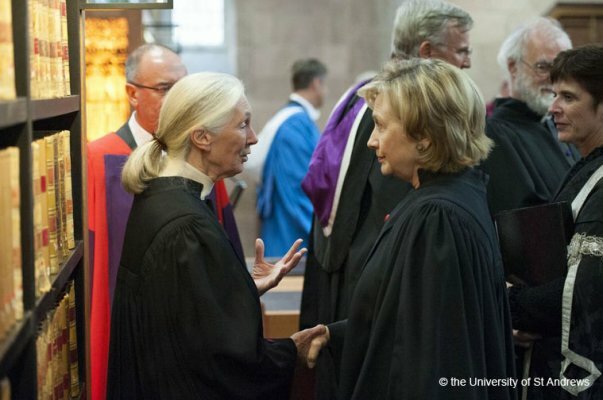 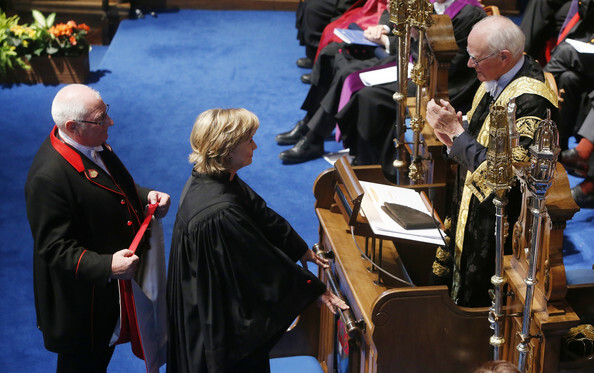 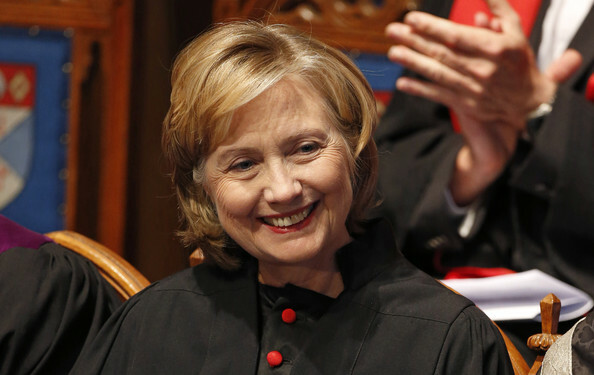 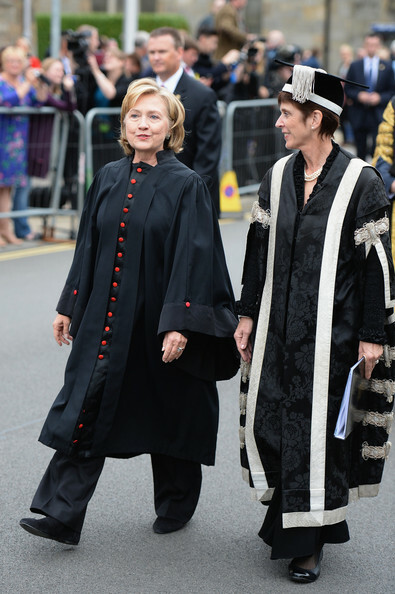 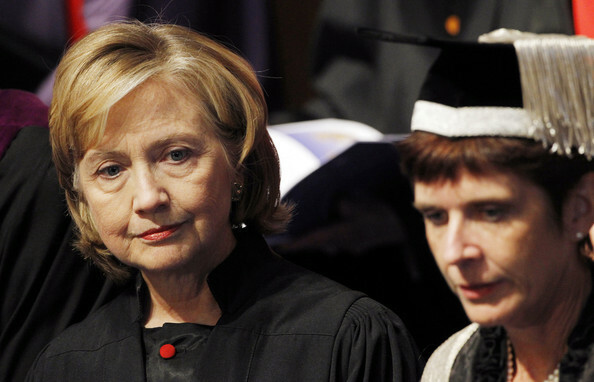 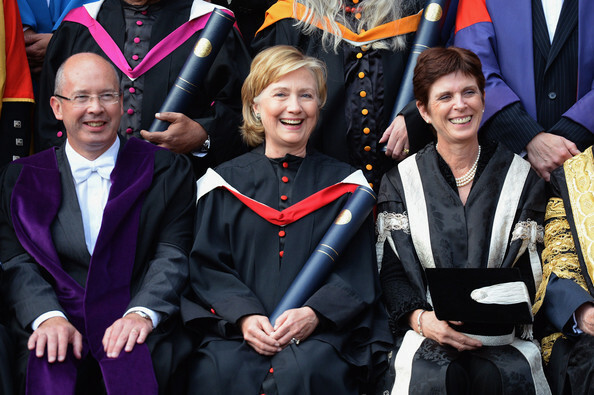 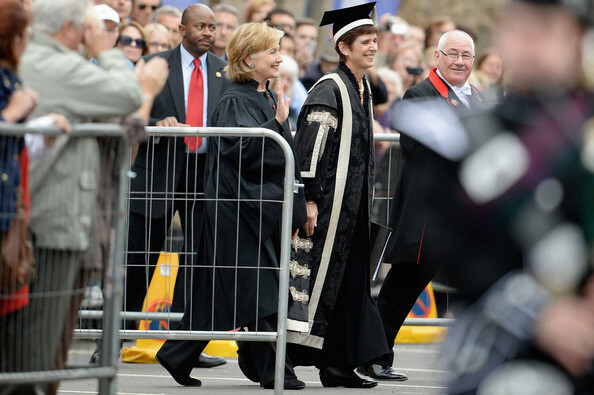 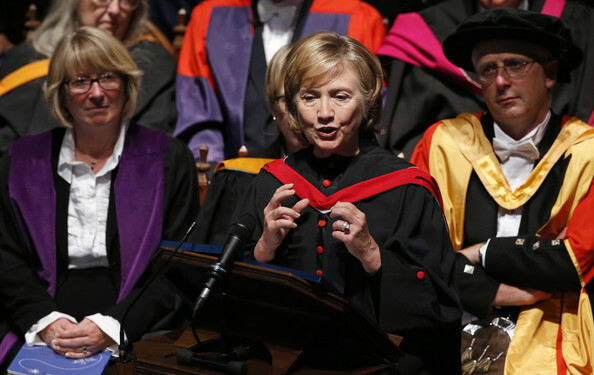 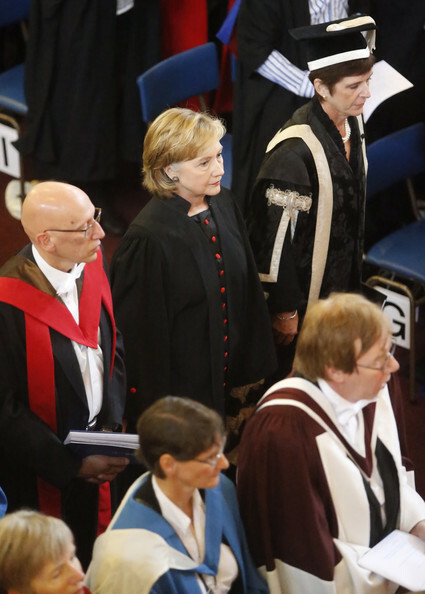 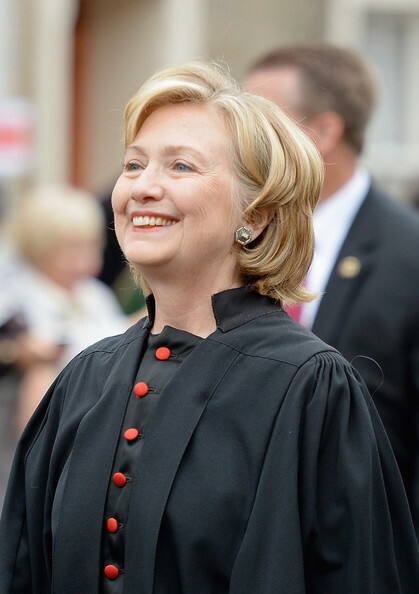 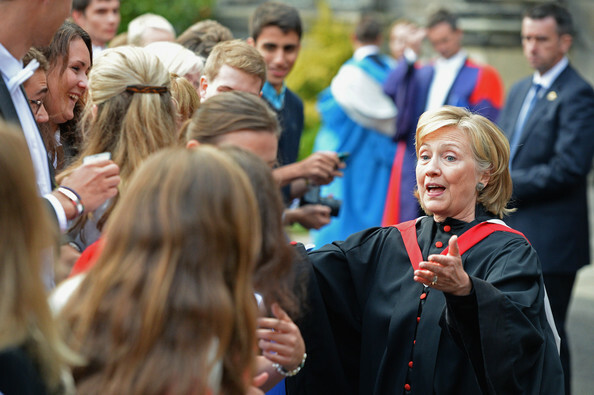 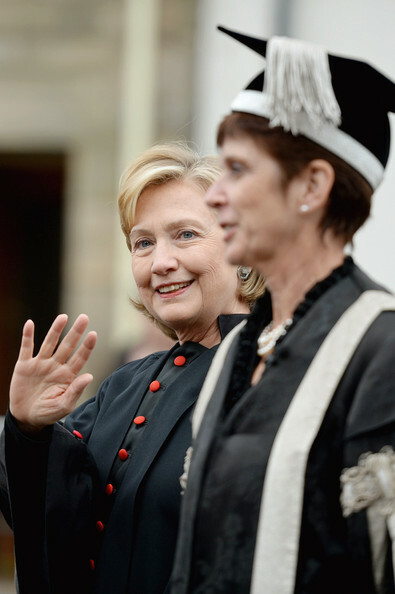 Our Hillary donned academic regalia once again today to take part in an historic ceremony. 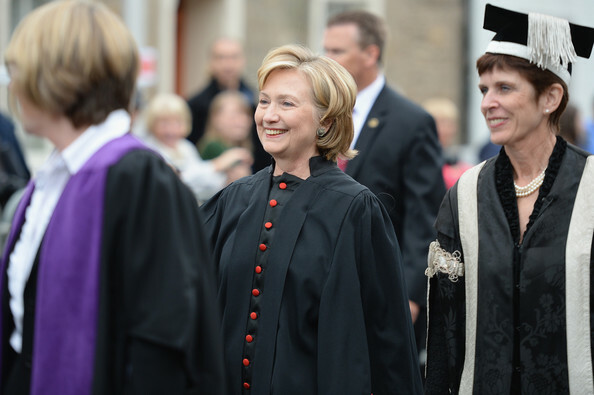 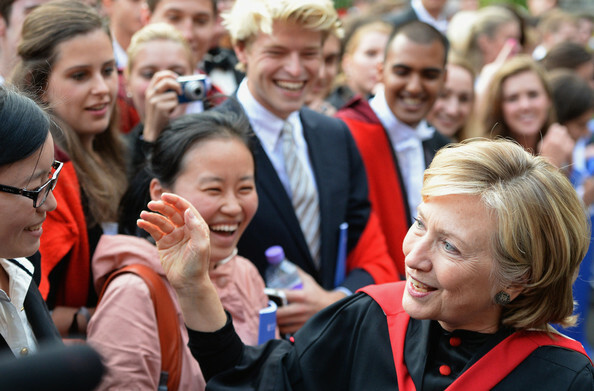 Former US secretary of state Hillary Clinton has taken part in a historic procession before she receives an honorary degree from one of the UK’s oldest universities. 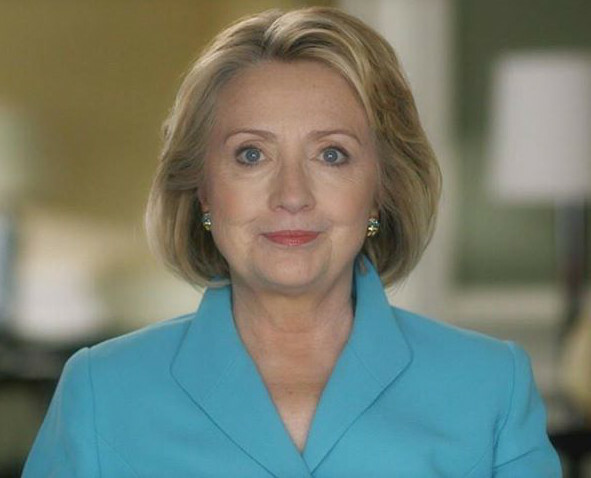 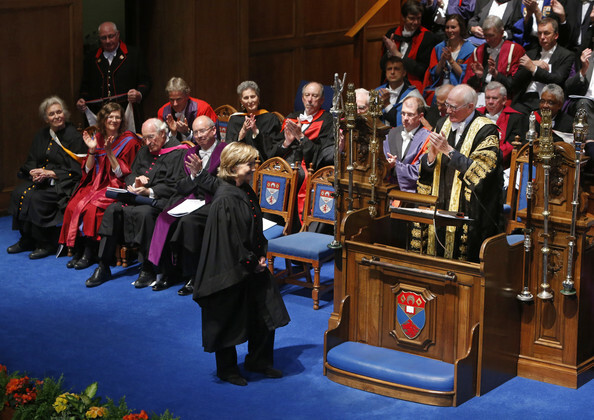 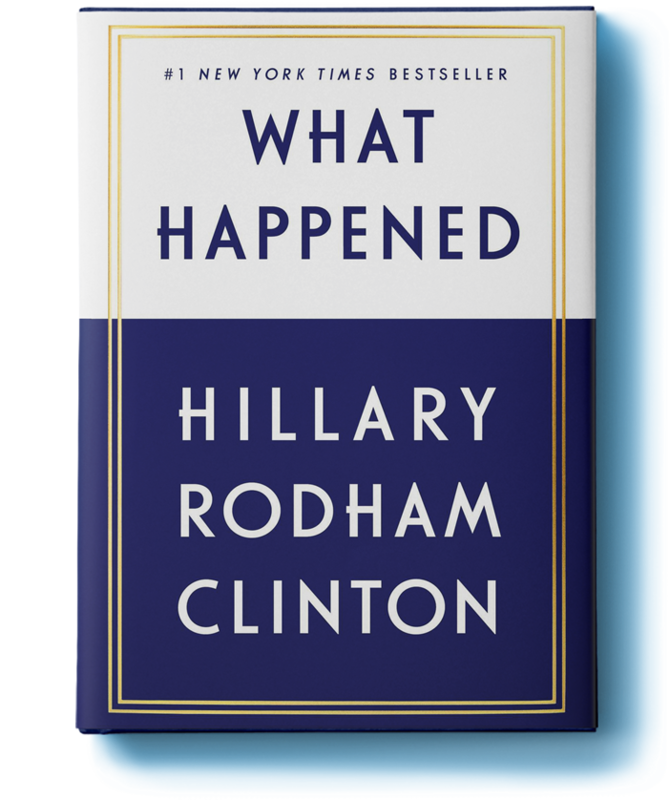 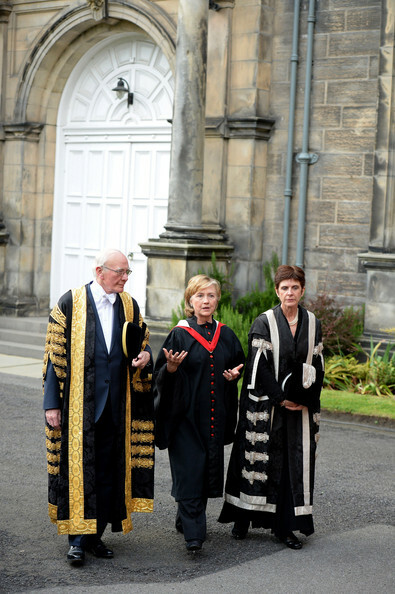 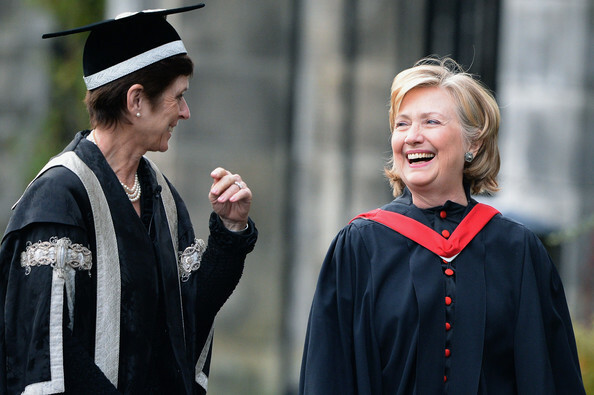 Mrs Clinton will be giving the graduation address later at a ceremony to mark the 600th anniversary of the founding of St Andrews University. 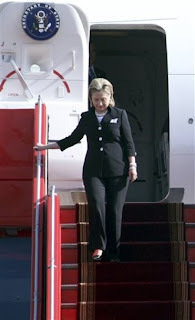 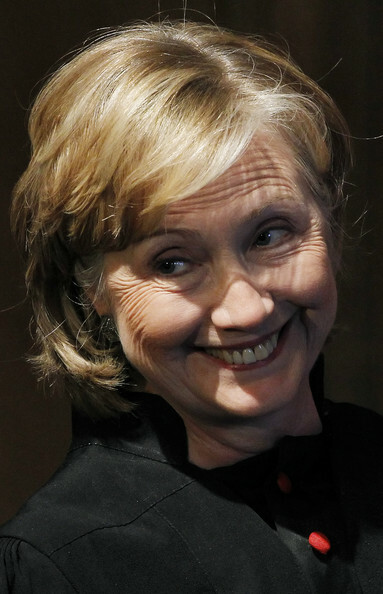 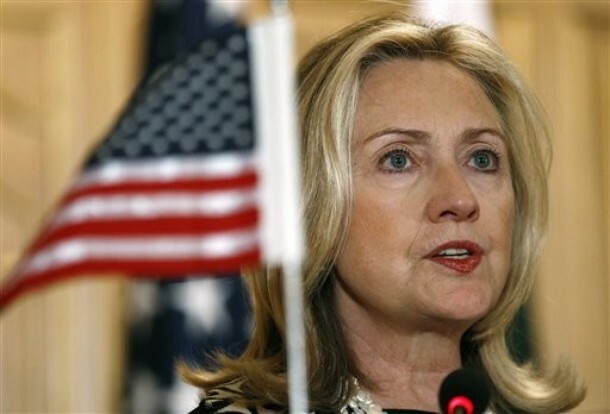 It is the politician’s first foreign visit since her term as secretary of state ended in February. 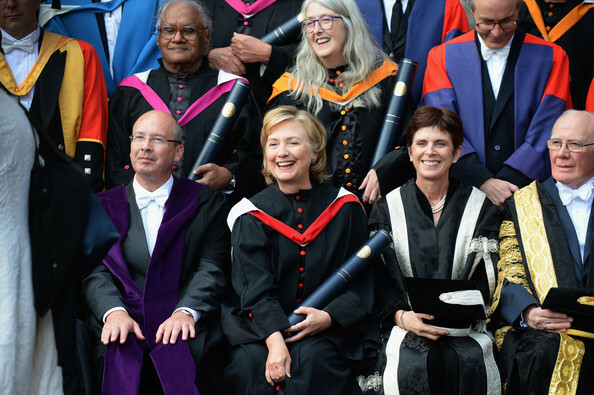 She arrived in the picturesque Fife coastal town yesterday and will be conferred with a doctor of laws degree in recognition of her achievements as a politician and diplomat. 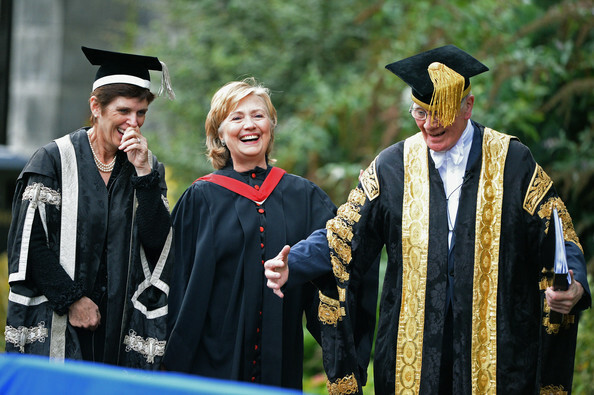 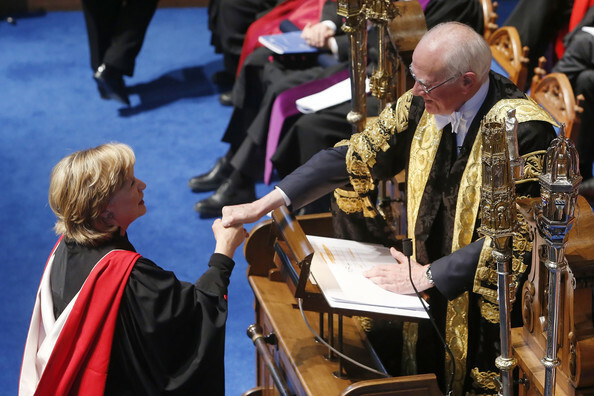 Mrs Clinton will receive the doctorate from the veteran Liberal Democrat politician and chancellor of St Andrews, Sir Menzies Campbell. 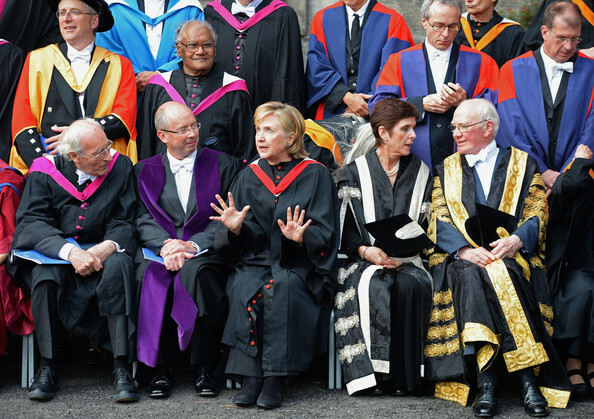 Interestingly the university was founded By Avignon Antipope Benedict XIII. 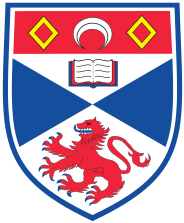 The University of St Andrews (informally St Andrews University or St Andrews) is a research university in St Andrews, Fife, Scotland. 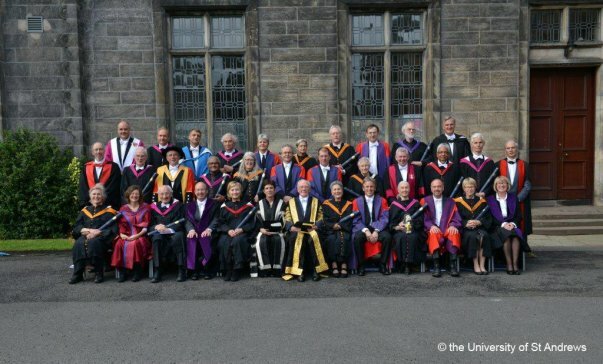 It is the oldest university in Scotland and the third oldest in the English-speaking world, next to Oxford University and Cambridge University. 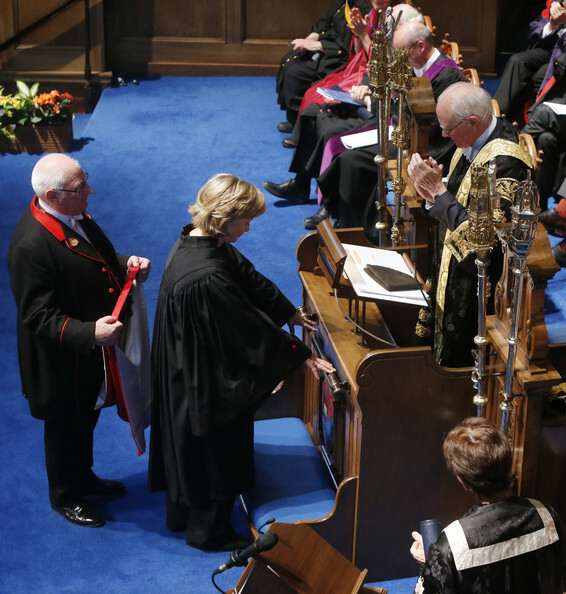 It was founded between 1410 and 1413 when a Papal Bull was issued by the Avignon Antipope Benedict XIII to a school of higher learning formed by a small group of Augustinian clergy. 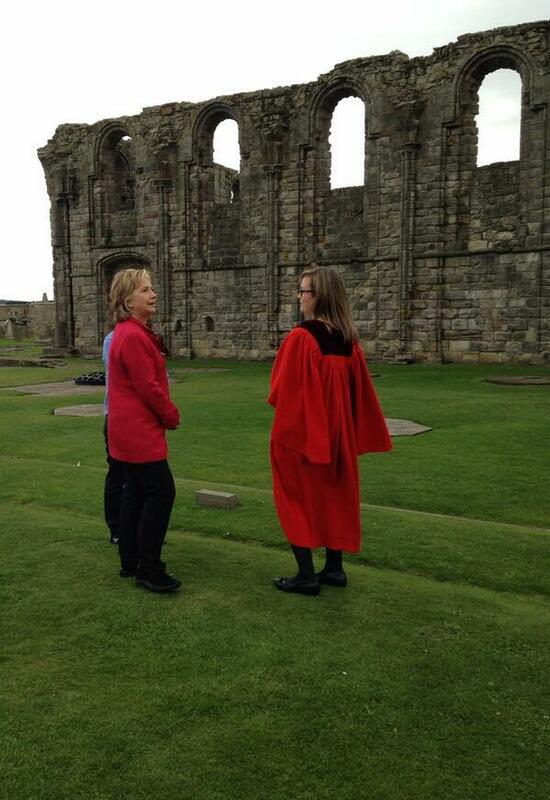 St Andrews is one of the four ancient universities of Scotland. 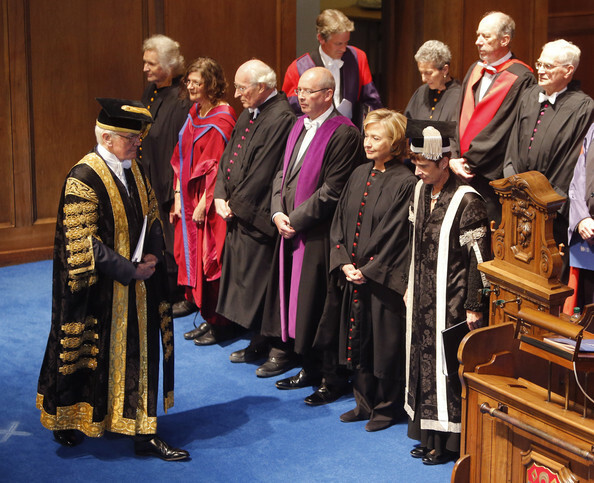 In post-nominals the university’s name is abbreviated as St And (from the Latin Sancti Andreae). 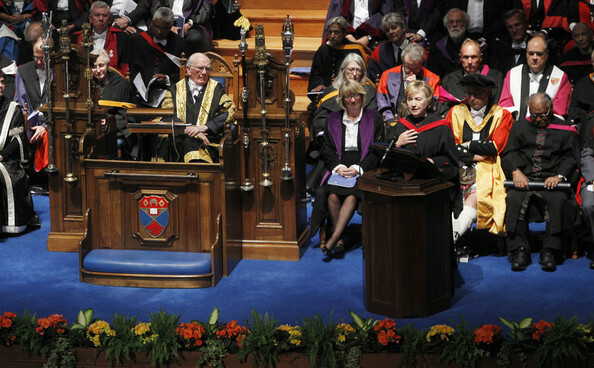 The University of St Andrews’ 600th Anniversary Honorary Graduation Ceremony is a celebration of intellectual achievement, recognising some of the brightest minds of the 21st Century. 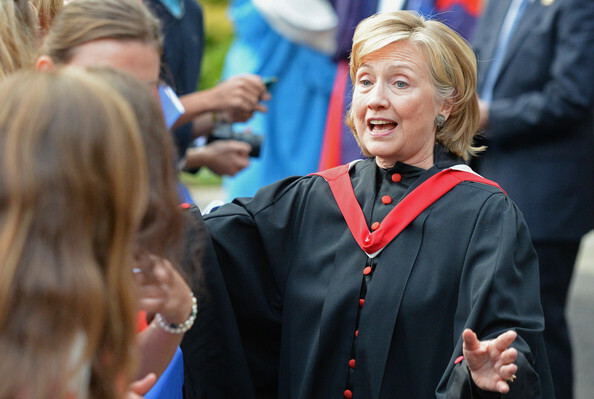 She looked so young and pretty that she could have been mistaken for an undergrad! 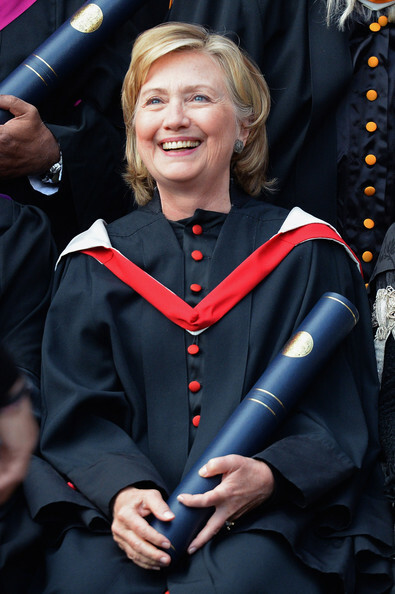 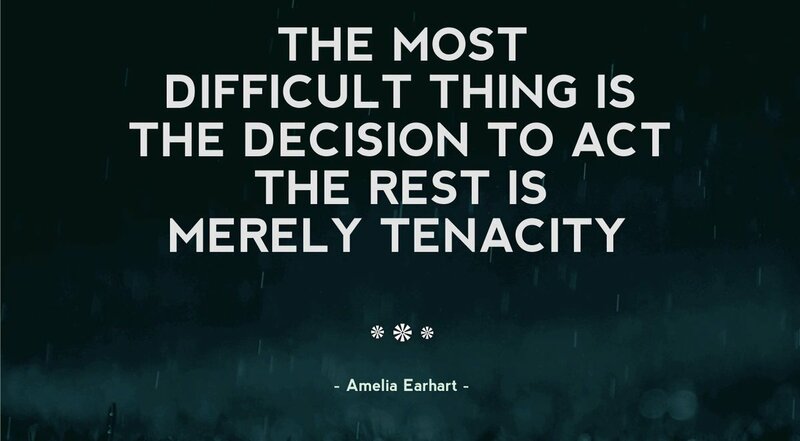 Congratulations, Mme. 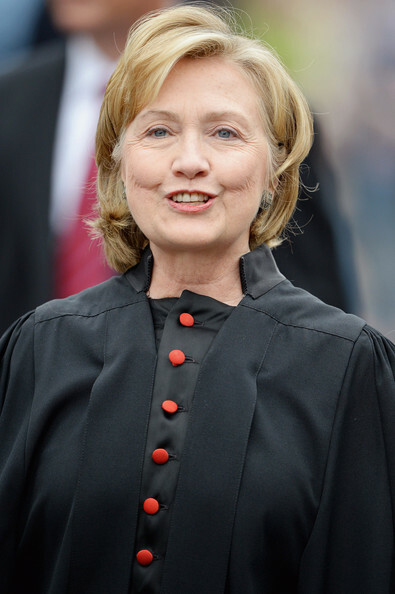 Secretary! 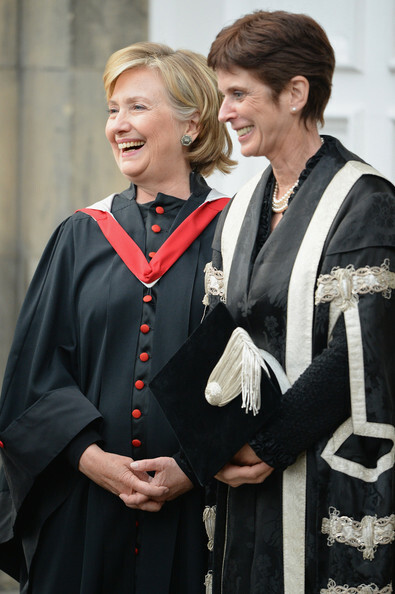 It is such a pleasure to see you so honored! 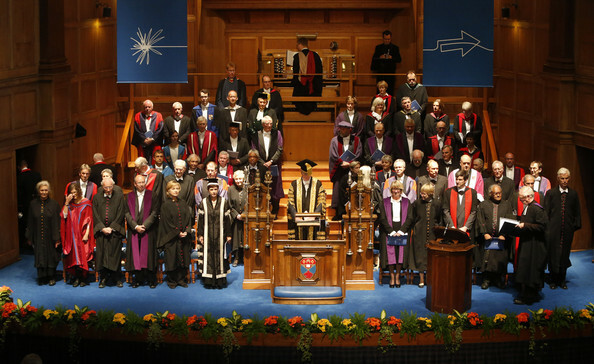 This looks like a spectacular event! 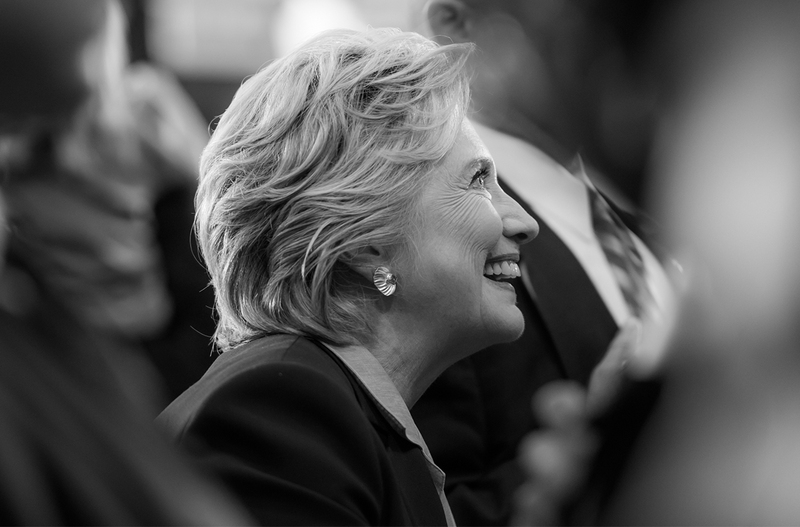 So so happy for her! 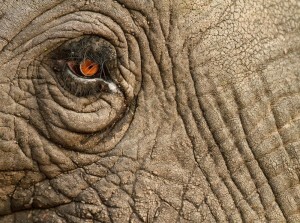 Thanks for the wonderful pictures!! 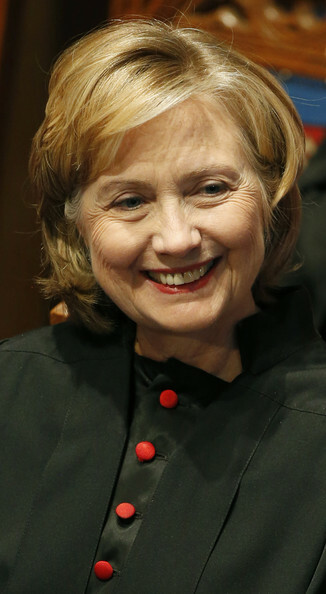 she’s always smiling, showing everybody her beautiful soul!!! 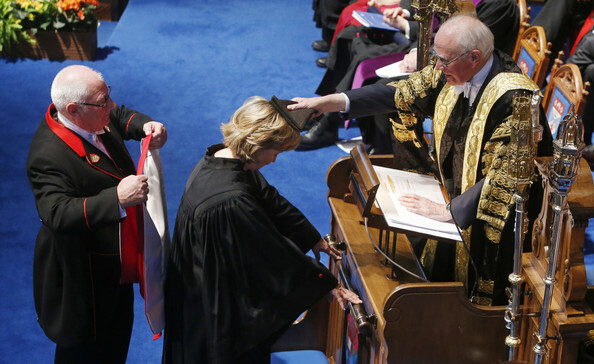 Talk about pomp and circumstance!!! 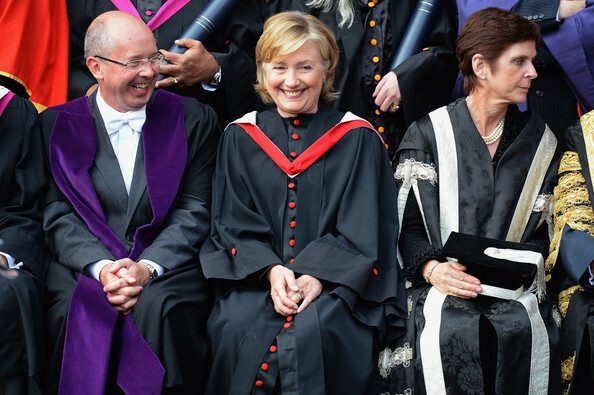 It looks like she had a blast.